This book describes recent innovations in 3D media and technologies, with coverage of 3D media capturing, processing, encoding, and adaptation, networking aspects for 3D Media, and quality of user experience (QoE). The main contributions are based on the results of the FP7 European Projects ROMEO, which focus on new methods for the compression and delivery of 3D multi-view video and spatial audio, as well as the optimization of networking and compression jointly across the Future Internet (www. ict-romeo. eu). The delivery of 3D media to individual users remains a highly challenging problem due to the large amount of data involved, diverse network characteristics and user terminal requirements, as well as the user's context such as their preferences and location. As the number of visual views increases, current systems will struggle to meet the demanding requirements in terms of delivery of constant video quality to both fixed and mobile users. ROMEO will design and develop hybrid-networking solutions that combine the DVB-T2 and DVB-NGH broadcast access network technologies together with a QoE aware Peer-to-Peer (P2P) distribution system that operates over wired and wireless links. Live streaming 3D media needs to be received by collaborating users at the same time or with imperceptible delay to enable them to watch together while exchanging comments as if they were all in the same location. The volume provides state-of-the-art information on 3D multi-view video, spatial audio networking protocols for 3D media, P2P 3D media streaming, and 3D Media delivery across heterogeneous wireless networks among other topics. 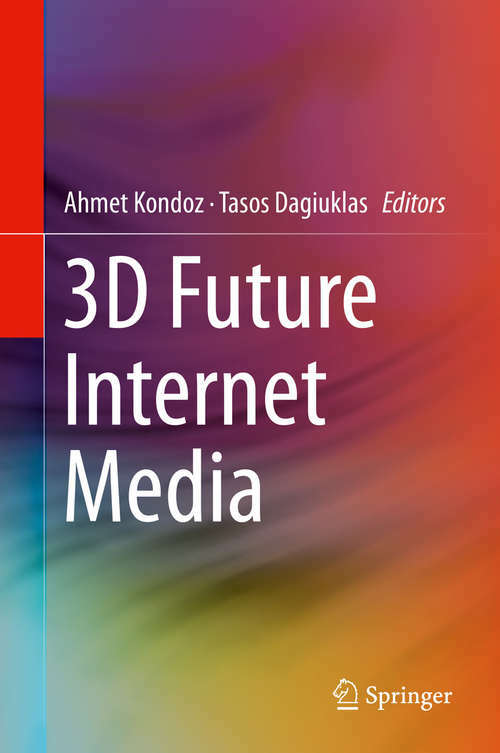 Graduate students and professionals in electrical engineering and computer science with an interest in 3D Future Internet Media will find this volume to be essential reading.